Lend a charming quality and fantastic eye appeal to your home with the Charlotte collection. 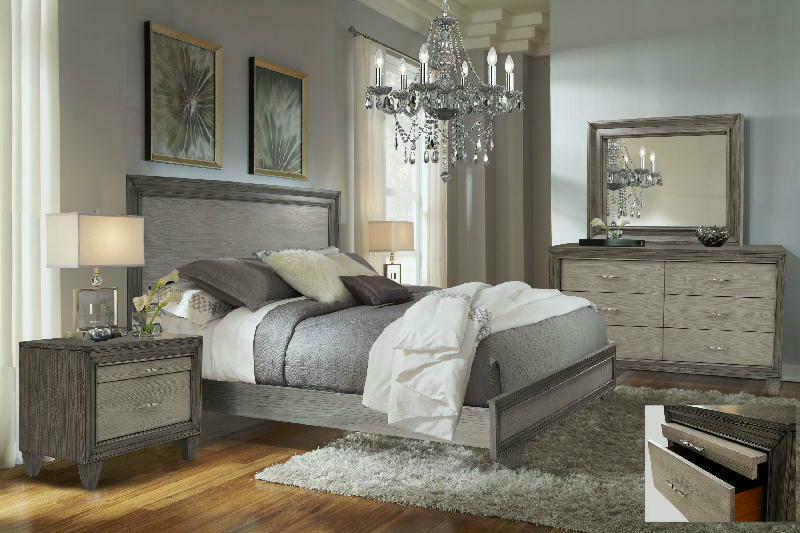 The clean, minimal design of the bed features a two shades of grey headboard and low footboard for a truly impressive aesthetic. Each piece is constructed of pine solids, wire brushed grey finish for depth. The transitional style creates a timeless, effortlessly casual appearance that ages beautifully. Chic polished aluminum hardware accents the front of each drawer.